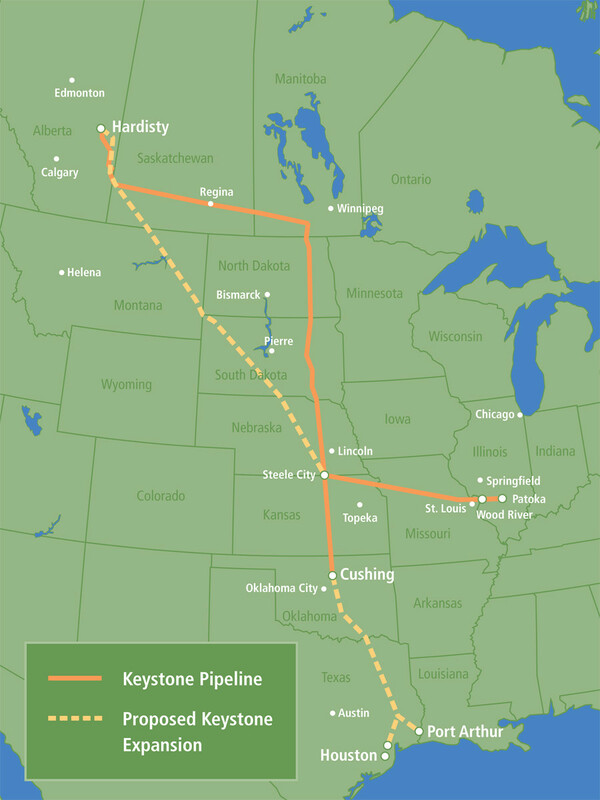 Home > Science & Nature > Geography > Keystone XL Pipeline Location Map? I've been doing research on the Keystone XL Pipeline System, which is a pipeline system to transport synthetic crude oil from Canada to the United States but I can't seem to find its location in the map. I'm following this very closely as the Keystone XL has encountered criticism from environmentalists and some members of the United States Congress and it concerns me to know what is its location in maps. I'm finding it a controversial issue so I want to know, what is the Keystone XL Pipeline Location in the map? The Keystone XL Pipeline Location Map can be seen in this picture. As you can see here, there is also a dotted line which indicates the location in the map for the Keystone XL Pipeline proposed expansion, and many sites are trying to get people to ask Obama to stop this. The location map shows an extensive pipeline which goes through several states so you'll probably notice the magnitude of the Keystone XL Pipeline. Similar Threads for: Keystone XL Pipeline Location Map?